Battered Suitcase Press, 9780692519738, 102pp. Mara Daniels is a physicist doing cutting-edge research into the nature of reality at the University of Chicago. She's an astronomer. She's an amateur student of Chinese philosophy. And she's still recovering from last summer's car crash that killed Benjamin Zhu, her fianc . It's a slow process; she can walk without a cane now, but she still suffers from migraines, nightmares, and seeing Zhu's ghost everywhere she goes. The novella The Joy of Fishes follows Mara through the day these threads -- and Mara -- begin to unravel. 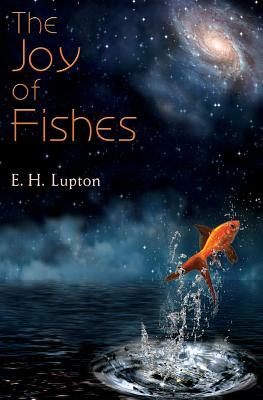 E.H. Lupton's magical realism take on the romantic ghost story is filled with wonder at the miracle of time, space, and ghosts. The Joy of Fishes tears down the veil as it explores what it means to live on after great loss and to fall in love with life once again. E. H. Lupton lives in Madison, WI with her husband and various pets. In her spare time she pursues a number of hobbies including running, baking, making things up, and taking naps.